Natural Meditation class, Sunday, Jan. 28th, 3:30pm to 5pm Open to all! 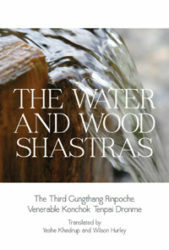 Join us for meditations and contemplations based on the Water and Wood Shastras by the Third Gungtang Rinpoche, Venerable Konchok Tenpai Dronme In addition to guided mindfulness practice, participants will get a chance to try various traditional contemplations on both secular ethics and on the graded steps to enlightenment. Gungtang Rinpoche composed these poems based on years of intensive study and practice as well as his penetrating insights into humanity and the natural world. Taught by Wilson Hurley.